The Norton Museum of Art, a venerated Palm Beach institution since inception in 1941, is recognized the world over for its extensive collections of American, European and Chinese fine art. This past year, the museum began a grand transformation to restore the original 1941 design and add a 42,000 sq. ft. wing, along with a sculpture garden and inviting outdoor spaces on the 6-acre campus. Due to construction inconveniences, admission to the museum has been waived, increasing interest and access to the Norton from all around. Now, as the fantastic expansion designed by Foster + Partners architectural firm progresses, 2017 shapes up to be a banner year for the Norton. Art mavens and novices alike enjoy the Norton's exquisite exhibits representing artists such as Gauguin, Matisse, Picasso, Hopper, O'Keeffe, Pollock, and many more. Programs and lectures, tours, special exhibitions, concerts and events for young artists provide cultural enrichment throughout the year. Beginning December 22 through January 29, see William Merritt Chase's masterpiece oil on canvas Shinnecock Hills, Autumn, circa 1893, on loan from a private Washington D.C. collection. The Norton is also gaining a reputation for its emphasis on the photographic arts. Now through January 15, view works by four new talents at the Rudin Prize for Emerging Photographers exhibit. The winner, who receives a $20,000 prize, will be announced on January 5 at the Museum's Art After Dark event. Cast your vote for the People's Choice winner on your next visit to The Norton in West Palm Beach. 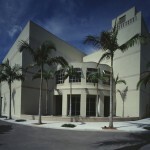 You can learn more about current and upcoming exhibits and events at www.norton.org.